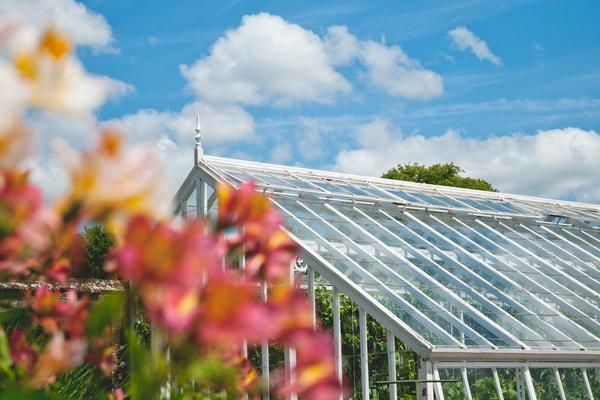 West Dean Gardens has an impressive collection of thirteen working Victorian glasshouses built by Foster and Pearson. There is always colour on display from the large collection of plants including exotic plants, orchids, strawberry plants, figs, nectarines, peaches, gourds, grapes and melons. 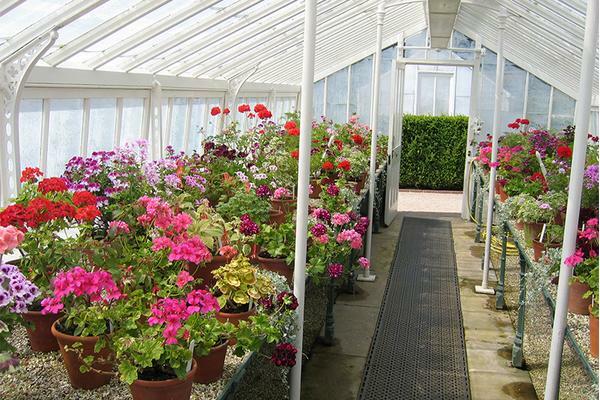 Urgent Glasshouse Appeal: For further information or to donate click here. 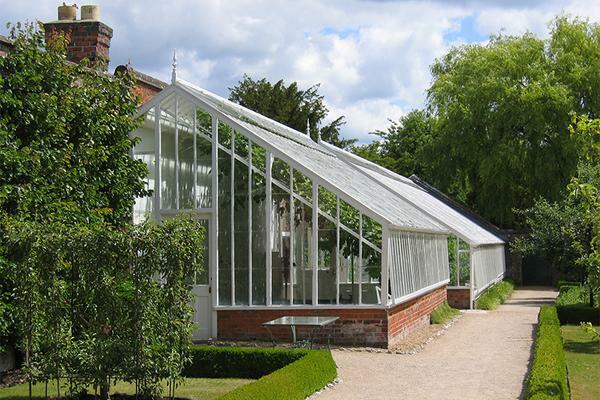 The splendid glasshouses were all built between 1890 and 1900 and were completely derelict before their restoration in the early 1990s. They are magnificent examples of Victorian craft and ingenuity. 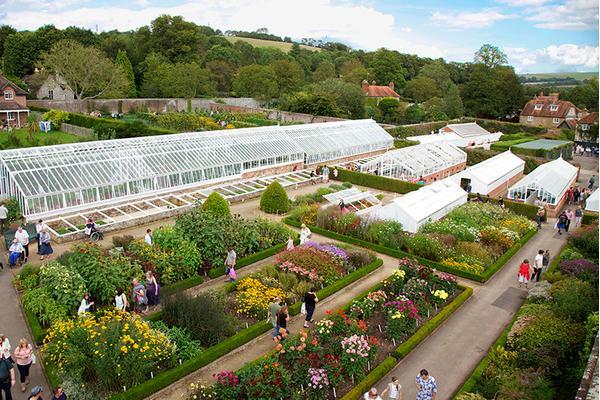 They are repainted on a four year cycle; the exteriors over summer, when the weather is kinder, and the interiors over winter, when the glasshouses can be emptied. 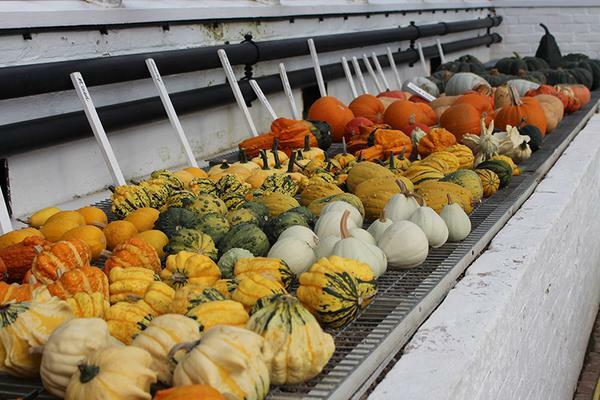 In addition, they are hand scrubbed from top to bottom, inside and out, each winter, a process that takes two gardeners two months to complete. 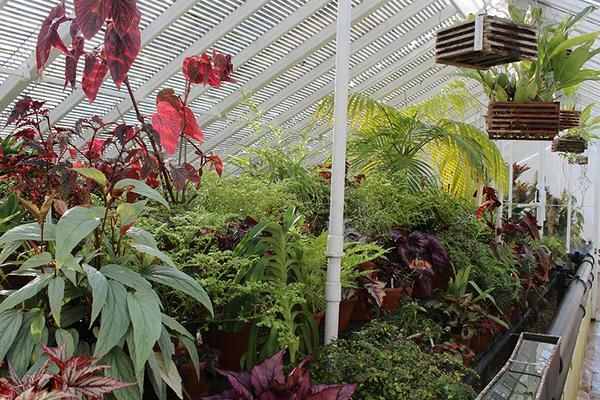 Despite this, the glasshouses are beginning to show their age and we are undertaking a programme of refurbishment / restoration to ensure they will be working for many years in the future. To find out how you can help click here. 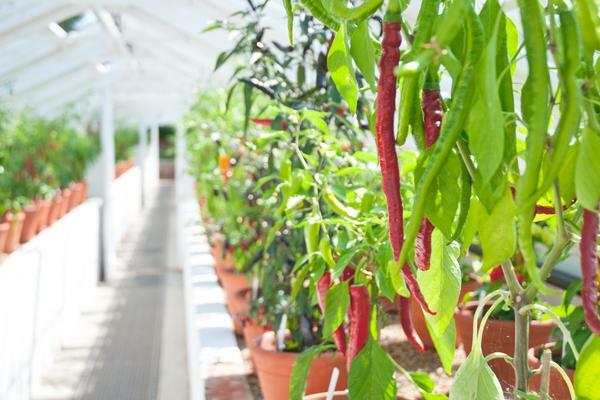 The glasshouses are heated by a woodchip burning boiler which also heats the College and associated buildings using woodchips produced from West Dean Estate's commercial forestry. Our wonderful collections of fruit and vegetables are on show throughout their life-cycle and are displayed for your enjoyment. A small proportion is used in the Gardens Restaurant and occasionally fruit is sold in the Gardens Shop. The fig, Ficus Carica, is a native of western Asia and the eastern Mediterranean. The earliest references to it are found in Sumerian records of 2500 BC. Reputedly, the first fig tree grown in England was introduced by Cardinal Pole and planted in the garden of the Archbishop's Palace at Lambeth by 1525. However, there is a local Sussex tradition that in the twelfth century Thomas à Becket brought fig trees from Italy and planted them in the garden of his palace at Tarring near Worthing, thus sowing the seeds of the local fig industry that reached its peak in the 18th and 19th centuries. Although moderately hardy in the UK, the fig was traditionally said to be best grown in a mild maritime climate. 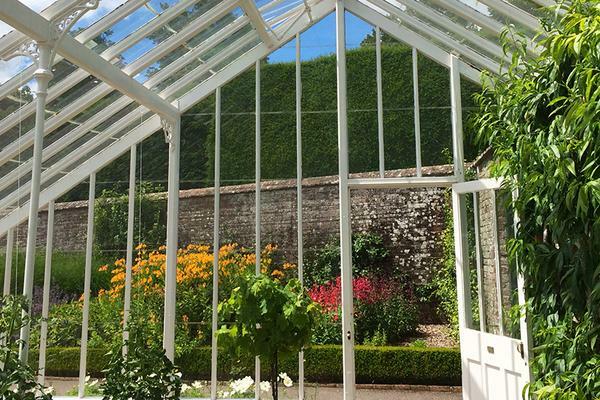 In the walled garden it was generally grown as a fan or espalier against a south wall, but by the mid-nineteenth century specific fig houses were created. In these it was possible to ripen two or even three crops of figs in a season instead of the one produced outside. This was achieved by 'forcing' the trees into growth as early as December when the vents would be closed and minimum temperatures of 60 degrees overnight and 75 degrees during the day would be maintained. Our regime in the glasshouses is less extravagant than this! We put heat on in late January, maintaining minimum temperatures of 50 degrees overnight and 65 degrees during the day and hope to achieve two reasonable crops. The fig is a very vigorous tree with a tendency to produce excessive vegetative growth to the detriment of fruiting. To overcome this it was common practice to restrict its root run by growing it in a brick 'box'. Pot culture has the same effect, of course. The fig will produce three crops of fruit a year in its native habitat of Asia Minor. The first crop is borne on the shoots of the previous year, the second on the growth of the current year, and the third on the sub-laterals which spring from the current season's growth. Realistically only the first two crops are attainable under glass in this country, whilst outdoors only one is the norm. Pruning of the tree is dictated by this pattern, and having established a semi-permanent framework of branches the aim is to produce a succession of short, sturdy shoots bearing embryonic figs at their tips which will overwinter and provide the first crop of the next year. This is achieved by pinching out the tips of a proportion of the young shoots to 4 - 5 leaves by mid-June at the latest, thus encouraging new shoots to develop below that point. Old fruiting stems are cut back to two leaves once the first crop of figs is picked. The border figs at West Dean are over a hundred years old. They are both of the 'Brown Turkey' variety. The West Dean vine glasshouse is unheated so the vines selected are suitable for cool culture: Black Hamburgh, Buckland Sweetwater, Mrs. Prince's Black Muscat, Foster's Seedling. Dessert grapes, ie those grown for the table rather than for winemaking, have been a feature of the walled garden since at least the seventeenth century. Initially they were grown outside against walls, some of which contained heating flues running through them. 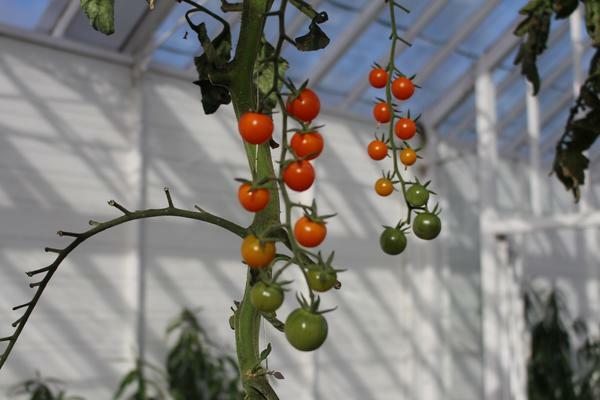 But the search and demand for the perfect grape was an important stimulus to the evolution of the glasshouse in Britain, eventually resulting in the type of structures seen at West Dean, known as a span house. 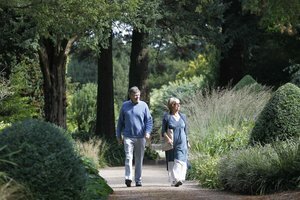 In the great private gardens of the nineteenth century, such as West Dean grapes were grown with a great deal of care and dedication. By the middle of the century many country houses would boast a range of vineries which would house rods of at least a dozen different varieties, enabling a pleasing diversity of both black and white fruit to be supplied all year round. Appearance, flavour and texture were all important, but it was generally agreed that the most accommodating and useful variety was Black Hamburgh. 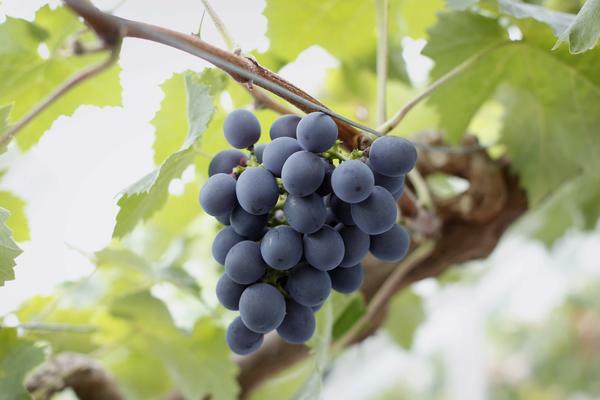 It could be forced for Easter; a vinery ripening slightly later would keep the family supplied while they were up in Town; and the main crop would be ready as the shooting season commenced. Part of the crop could even be preserved for a month or two by inserting the ends of the cut stems into bottles of water. The varieties in the houses are all 'muscat' grapes: Mrs. Pearson, Muscat of Hamburgh and Muscat of Alexandria. These are the 'aristocrats' of the dessert grape pantheon and are correspondingly demanding to grow. The first European records of the aubergine are from the sixteenth century and as with the tomato, it was first regarded with suspicion and considered poisonous. The first varieties to be grown in England were used more as ornamentals than as vegetables and had white, egg-shaped fruits, hence the English name of egg plant. It has been a staple of Middle Eastern and North African cuisines for centuries but remained uncommon on British tables until the nineteenth century, being confined to wealthy or Jewish households. In the Edwardian period a hundred plants a year were grown at West Dean to provide a novelty for shooting season dinner parties. The aubergine is a perennial, which may be sub shrubby or herbaceous, but is usually grown as an annual. 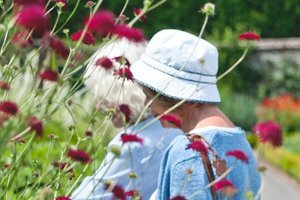 Cultivated varieties show a wealth of shape and size, ranging from the classic shape and colour, 'Long Purple', through round and orange, 'Turkish Orange', to long and white, 'Asian Bride'. Our growing regime is to start two seeds in a 3" pot at 17-20 degrees in March, thinning to one after successful germination. 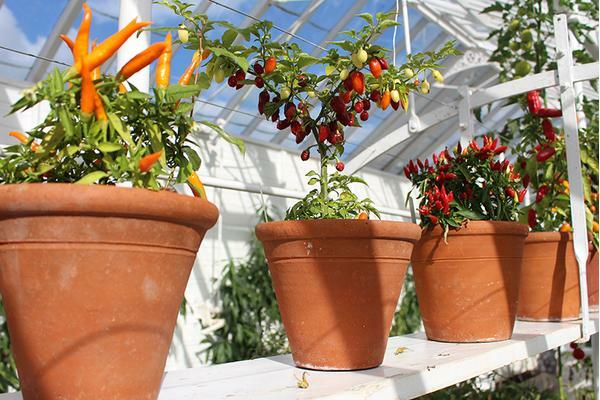 These are potted up progressively to 5", then 7" to the final pot size of 9" by the beginning of June and are given a weekly high potash feed. The main stem should be staked and pinched out at 8" and the fruiting laterals formed off this should also be pinched at 8-10" and staked where necessary. Growing conditions are a fairly humid atmosphere, damped down twice daily, and a minimum overnight temperature of 12-14 degrees. 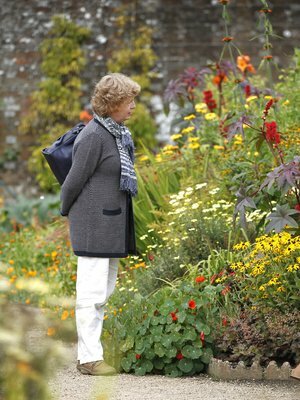 The worst problem is red spider mite which the gardeners control with regular damping down and the use of the biological control insect, Phytoselius. Cultivated peaches and nectarines have all originated from one species, Prunus persica. The peach is a fruit of temperate but warm climes. Originating in northern China, it spread along the ancient silk route over the mountains of central Asia and thence to Persia where it came to be regarded as a native tree, hence the specific name, persica. The origin of the nectarine which was first described and grown in England by Gerard at Holborn in 1597 is a mystery. It is a true peach, not a cross between the peach and plum as some suppose. By 1629 there were 16 recorded varieties of it in England and the name nectarine was already in use. All writers at this time advised planting peaches and nectarines against south- or east-facing walls. The Victorians developed the cultivation techniques. To give added protection to peaches grown on walls outside, projecting glass copings were fastened to permanent brackets fixed to the tops of walls. Canvas roller blinds fixed to the brackets could be let down at night to protect the blossom from frost and then be re-rolled when the danger had passed. 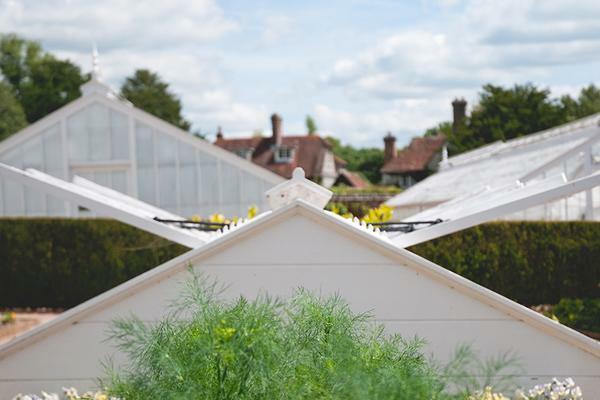 Alternatively, whole houses were set aside to their cultivation and during this period the commercial production of peaches and nectarines under glass reached major proportions, especially locally around Worthing, West Sussex. The curved frame of the peach and nectarine house was designed so as to allow the trees in the front section of the house to be trained on the underside of it, making them both convenient to work on and also allowing the rays of the sun to reach to the base of the rear wall, thus allowing full use to be made of it as a growing area. Varieties in this house are Nectarine 'Humboldt' and 'Pineapple' and Peach 'Royal George' and 'Amsden June', the earliest peach with us.